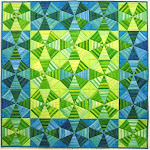 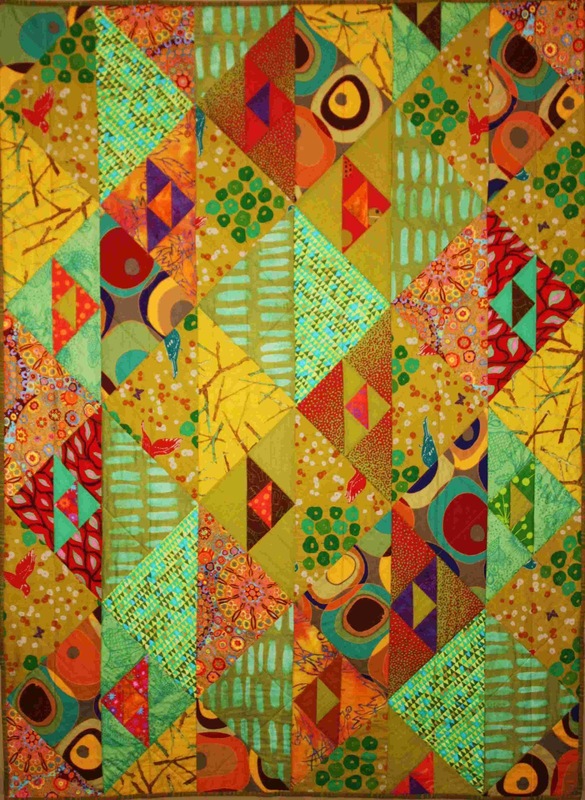 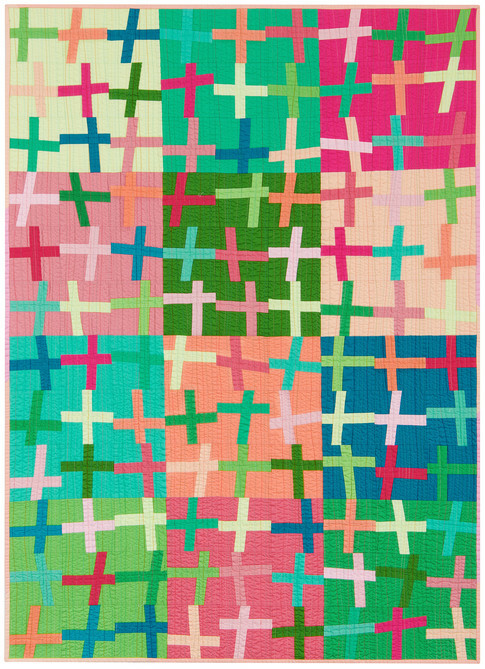 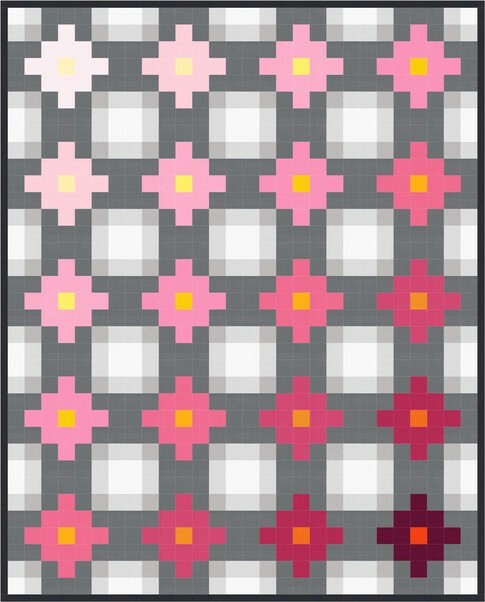 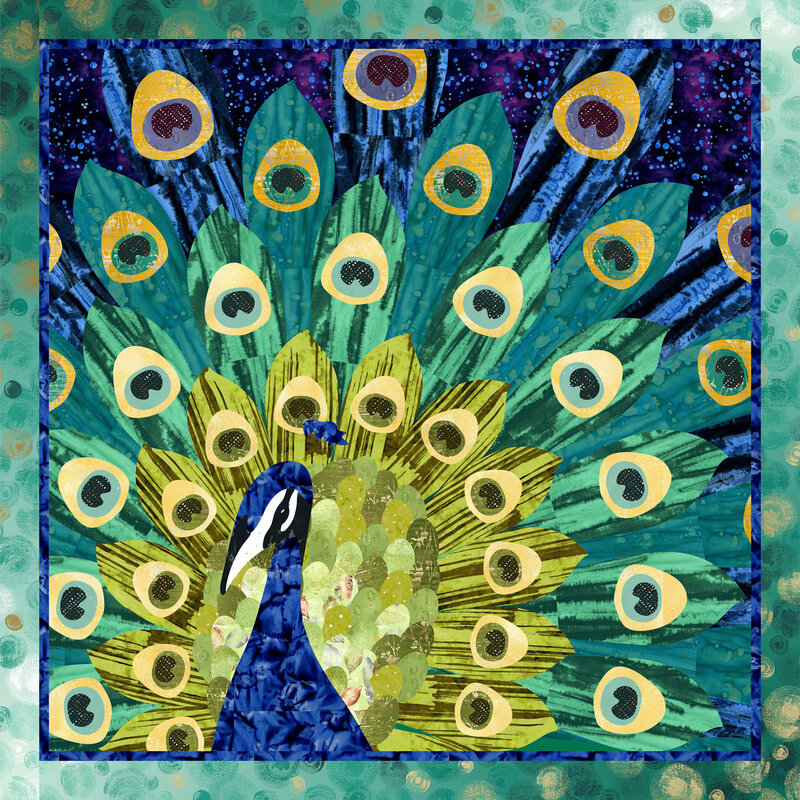 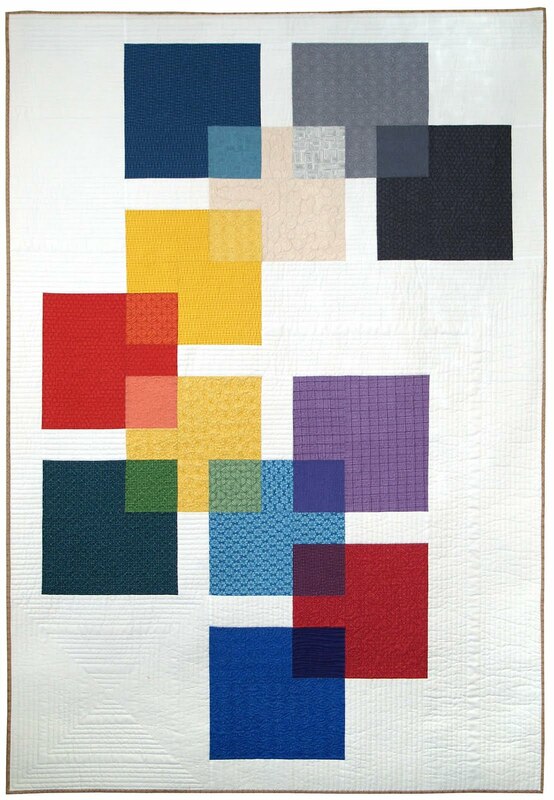 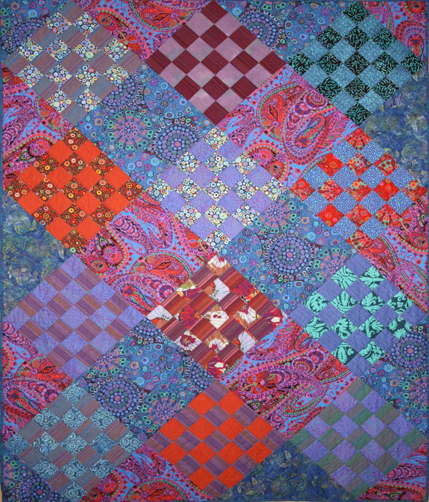 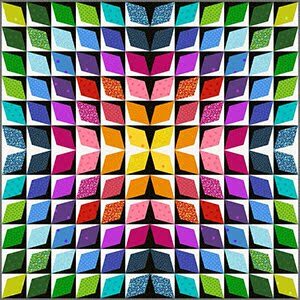 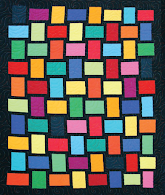 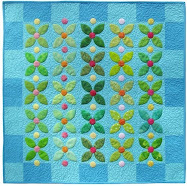 Pamela Goecke Dinndorf has been fascinated by fabrics and quilts as far back as she can remember. 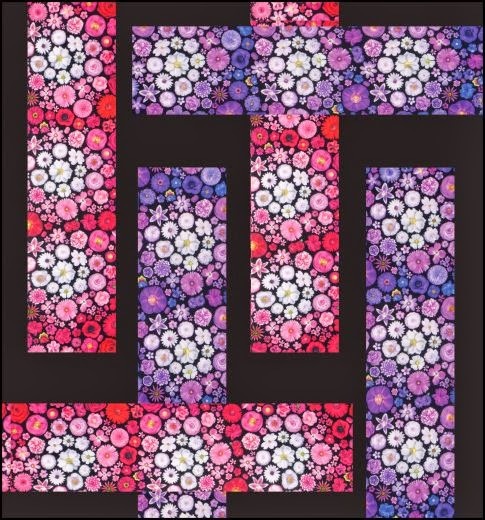 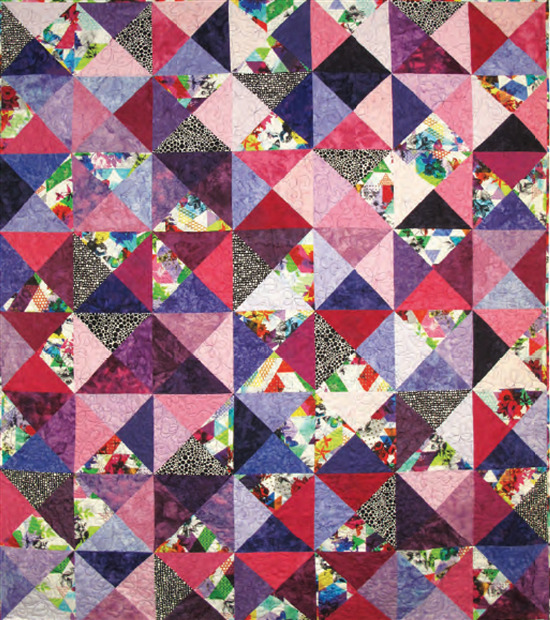 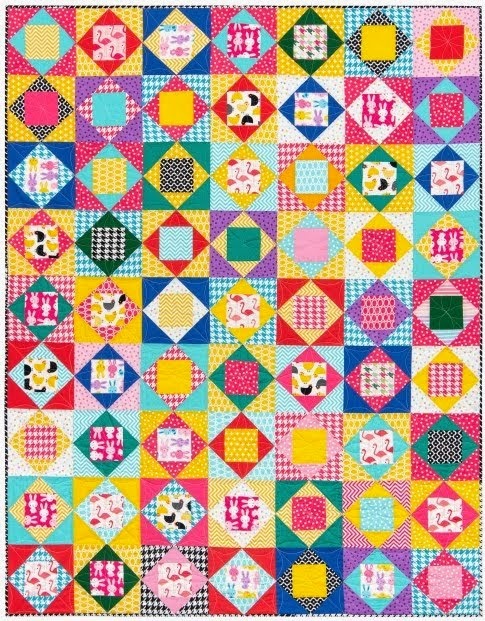 One of her fondest childhood memories is of cutting fabric squares, lining them up, arranging them, and rearranging them to achieve the most satisfying effect. 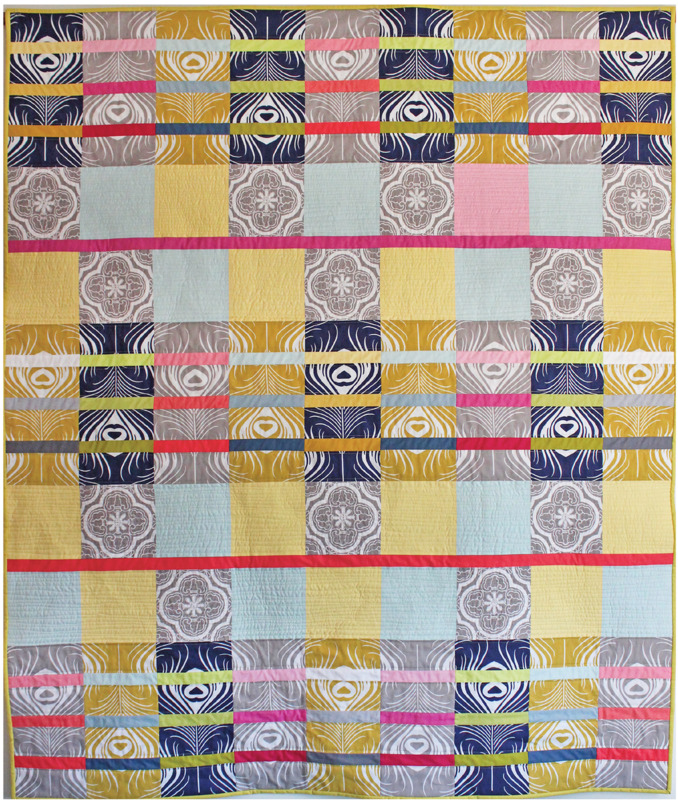 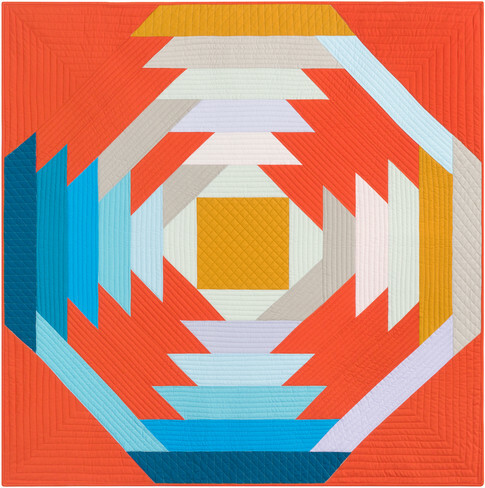 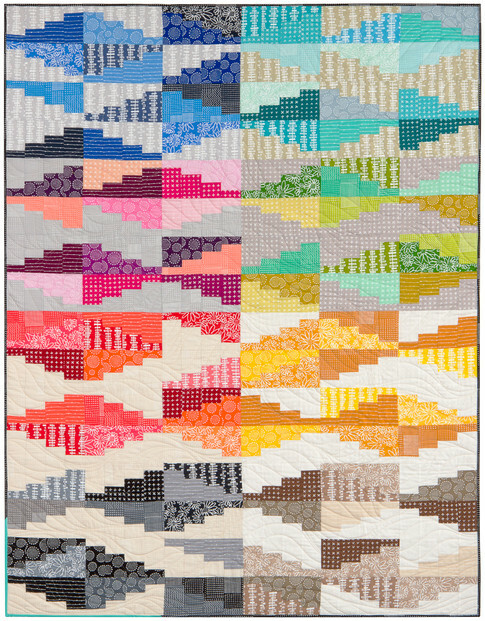 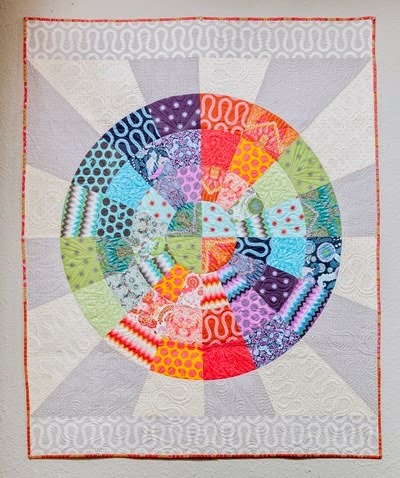 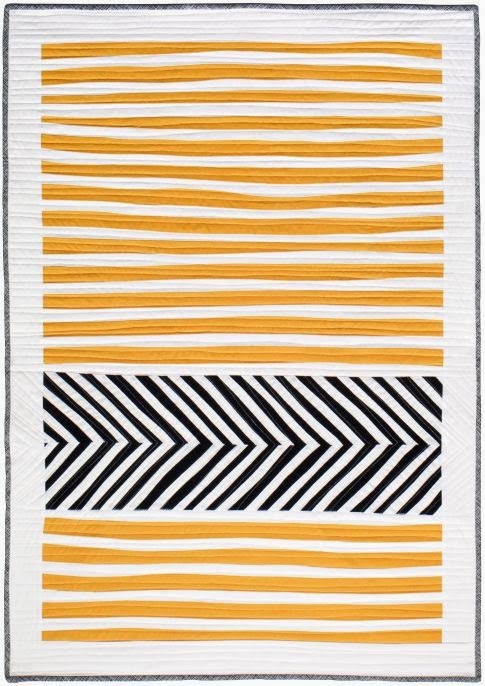 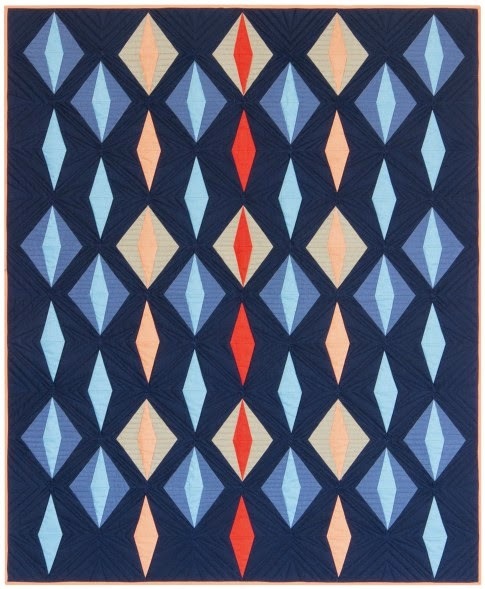 Based in Minnesota, her Aardvark Quilts pattern line is sold around the world. 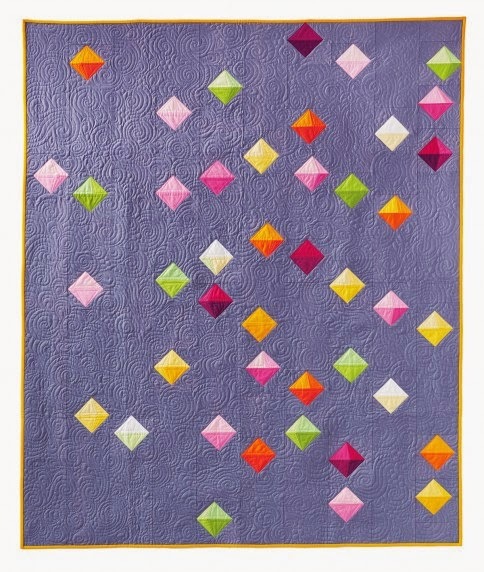 The simplicity of her designs allows the colorful fabrics to really shine. 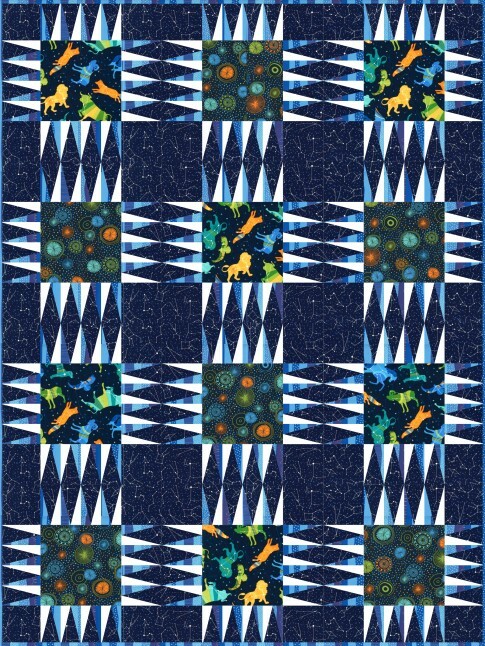 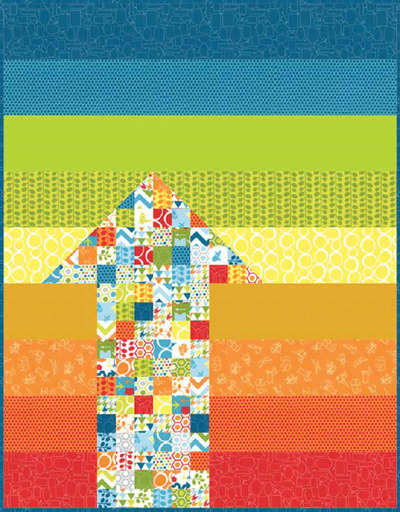 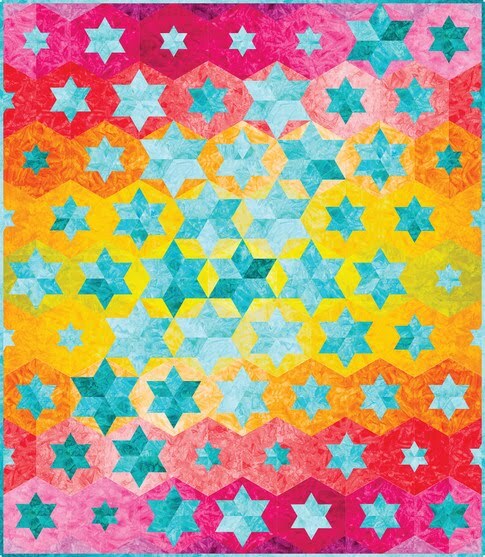 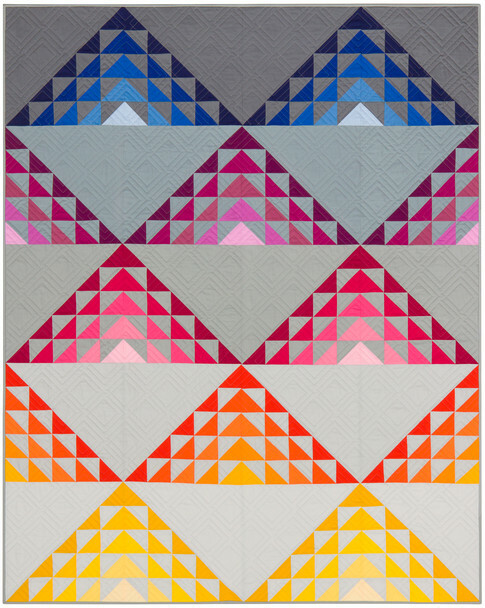 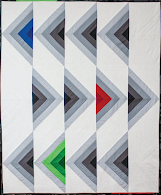 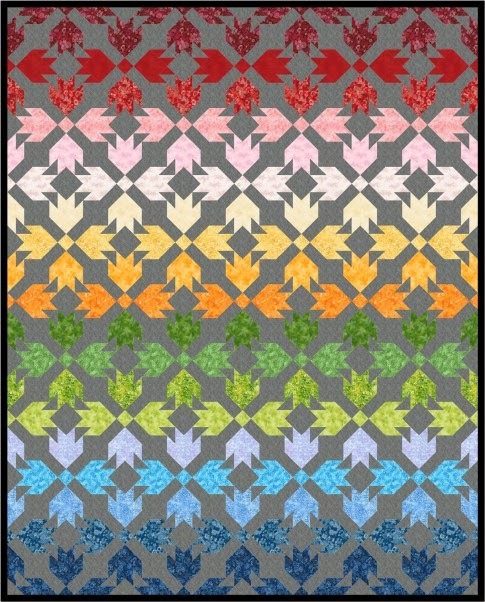 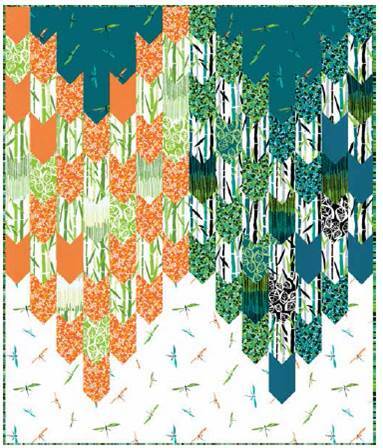 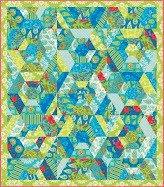 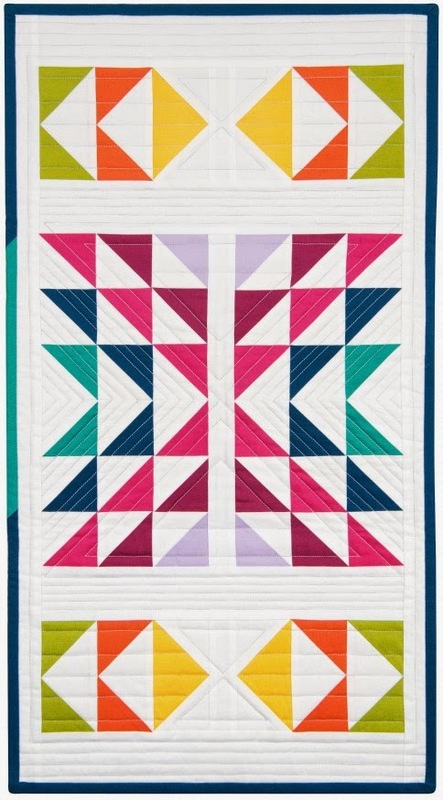 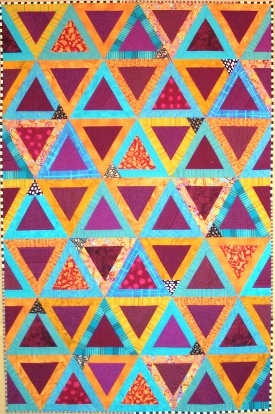 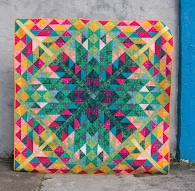 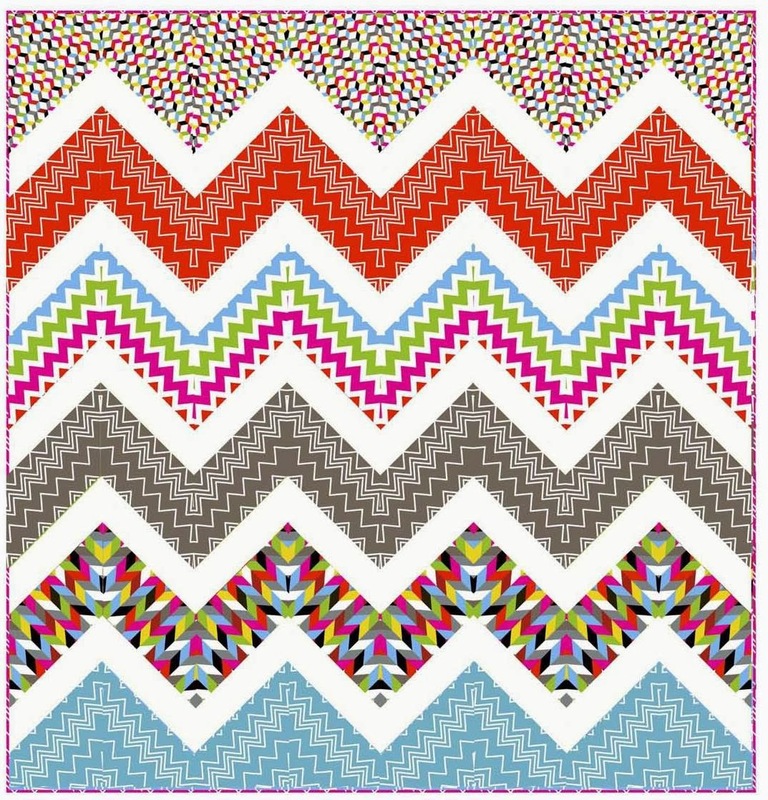 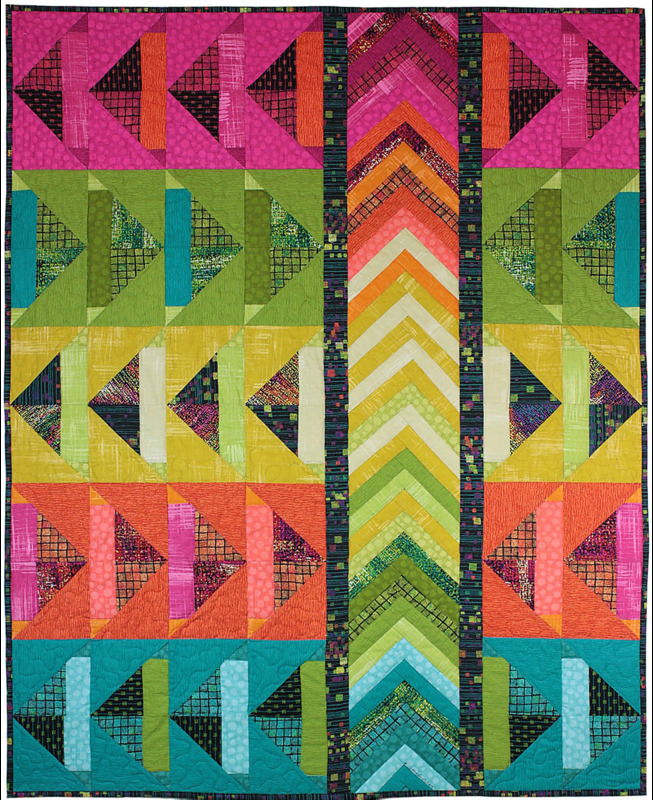 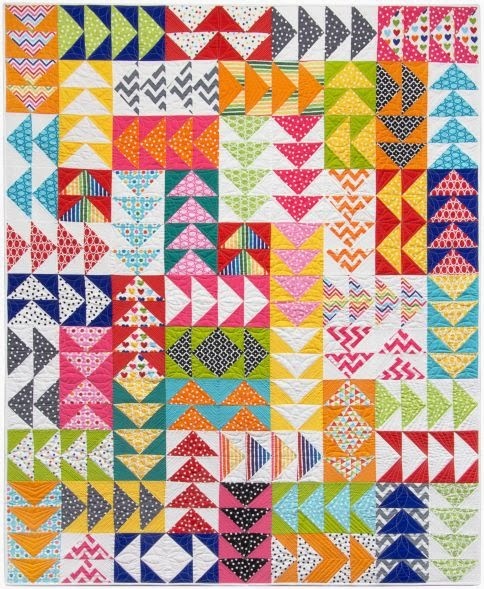 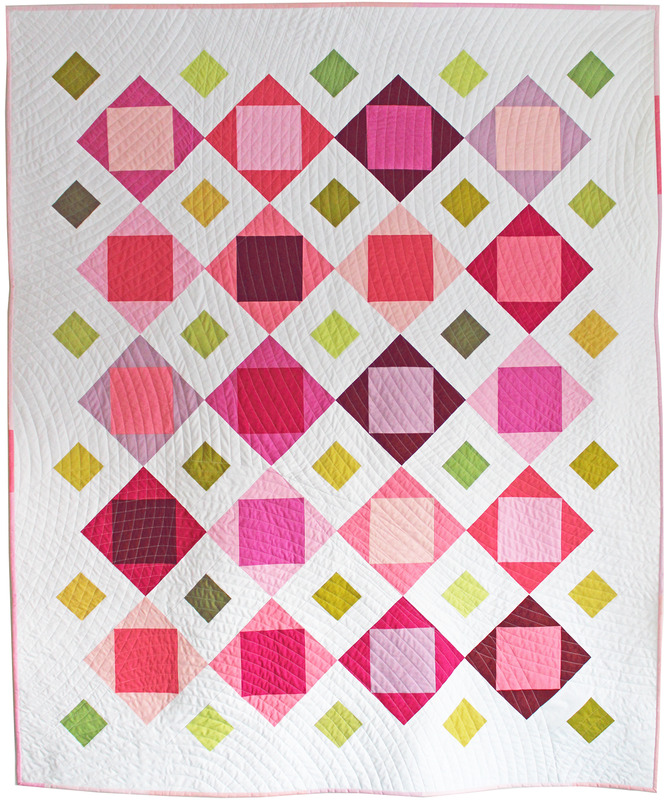 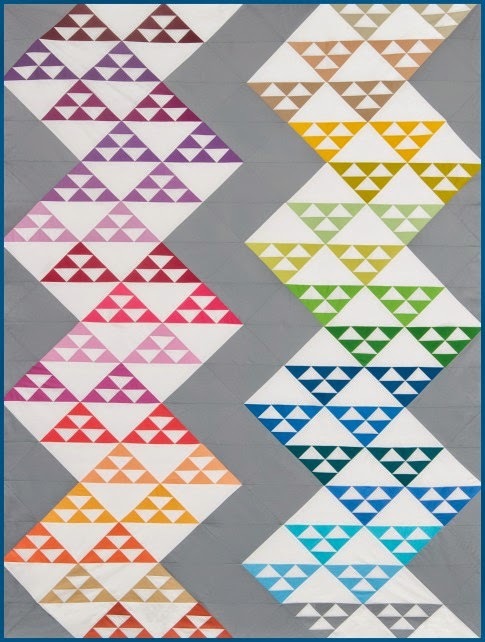 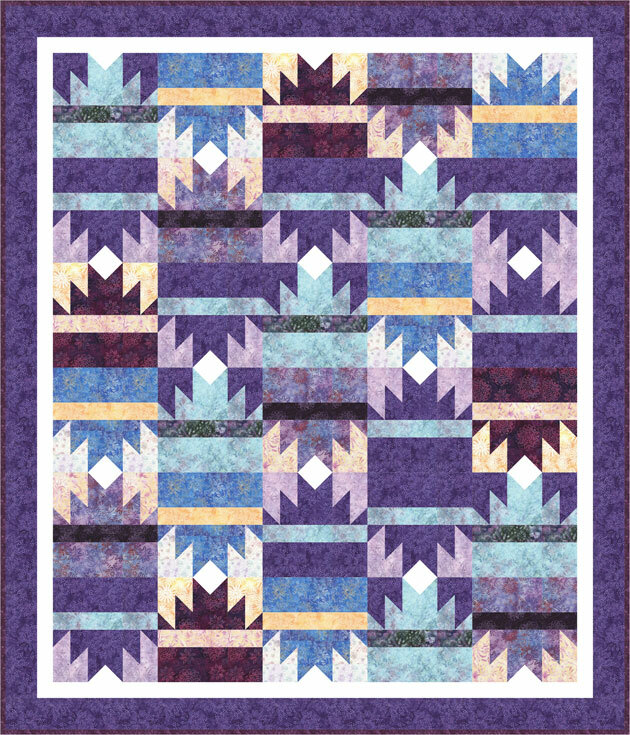 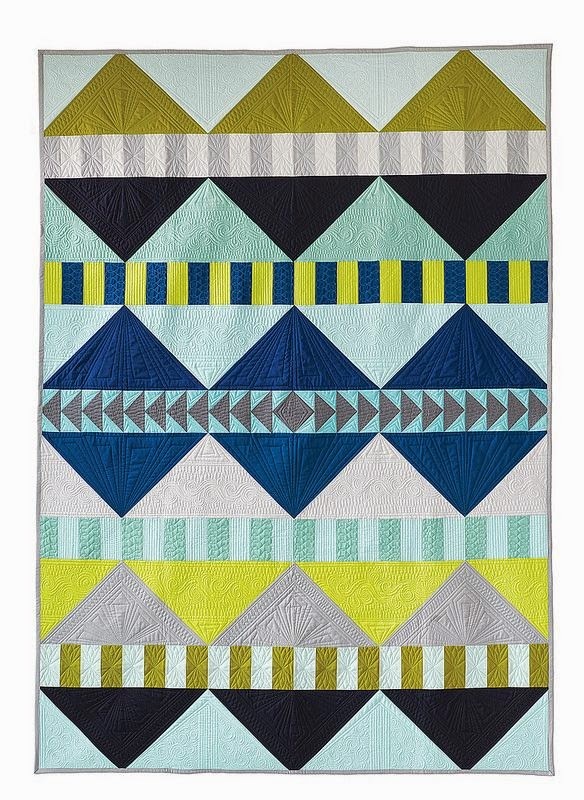 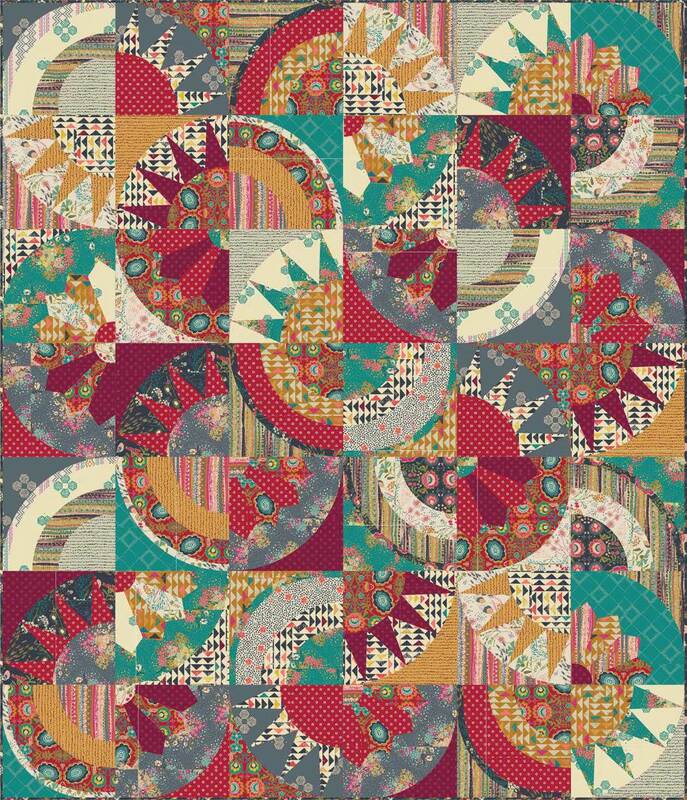 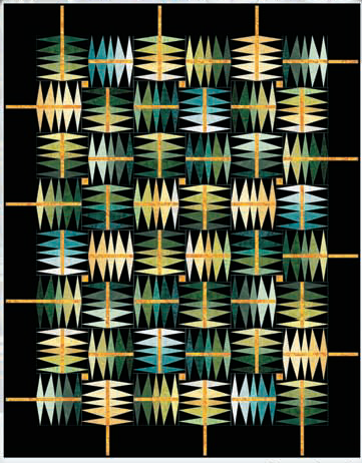 This new pattern is an example of Pamela's flair when it comes to triangles (and triangles within triangles !) 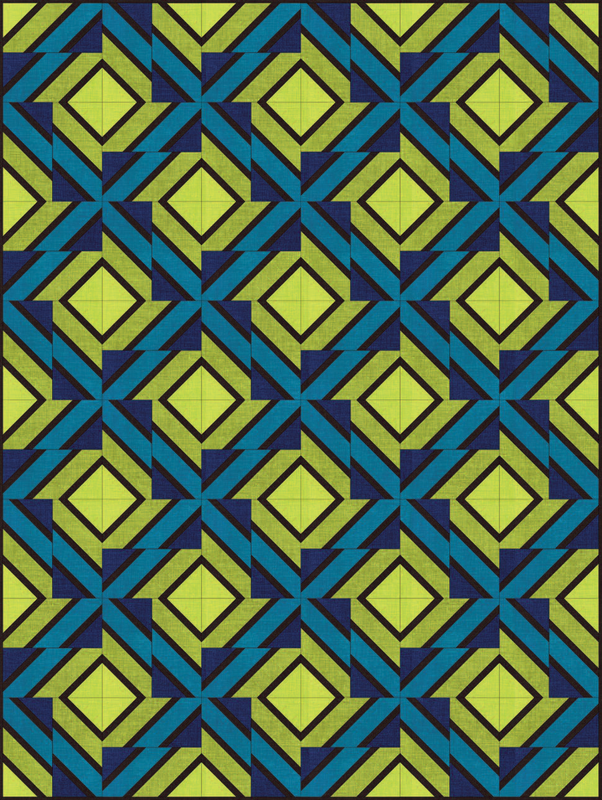 Horizontal and vertical settings are possible. 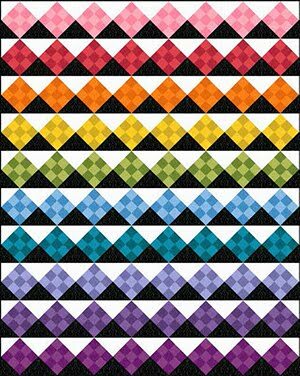 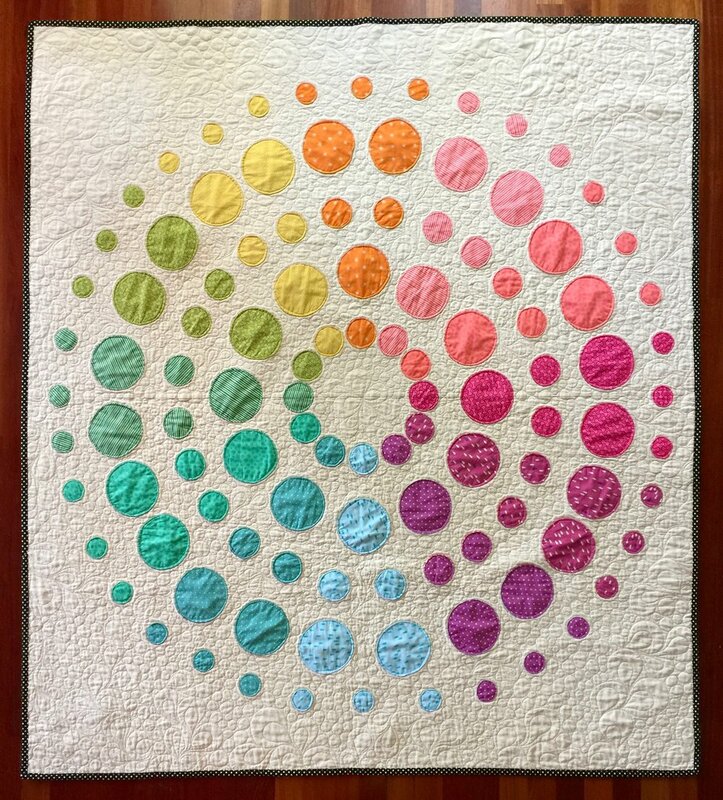 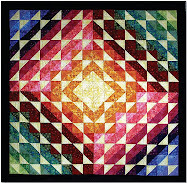 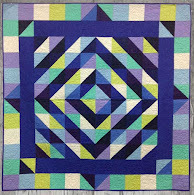 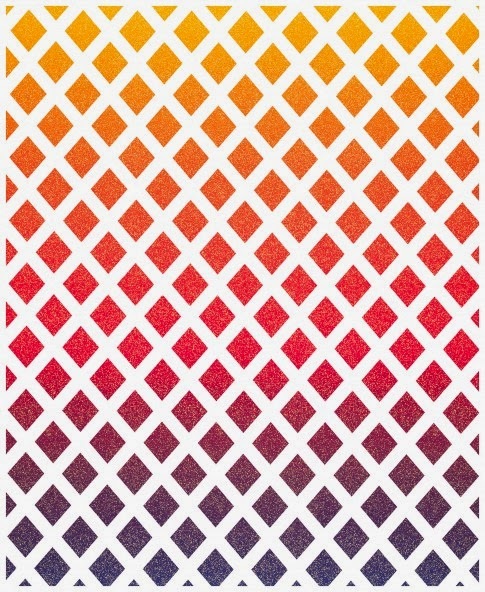 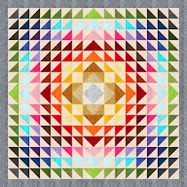 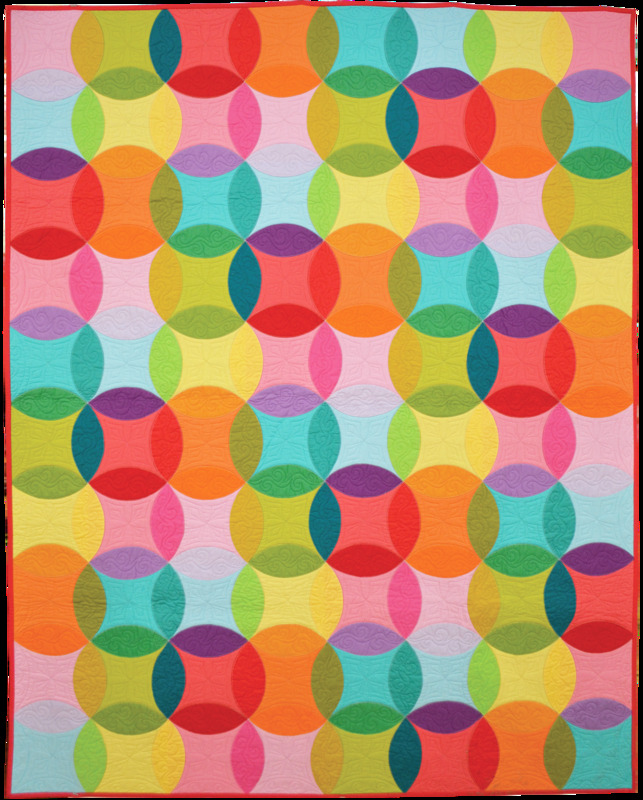 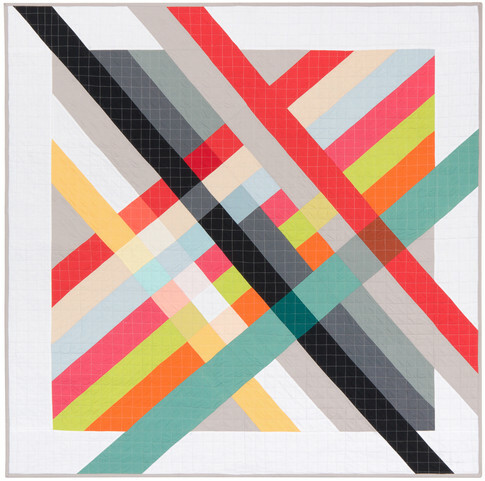 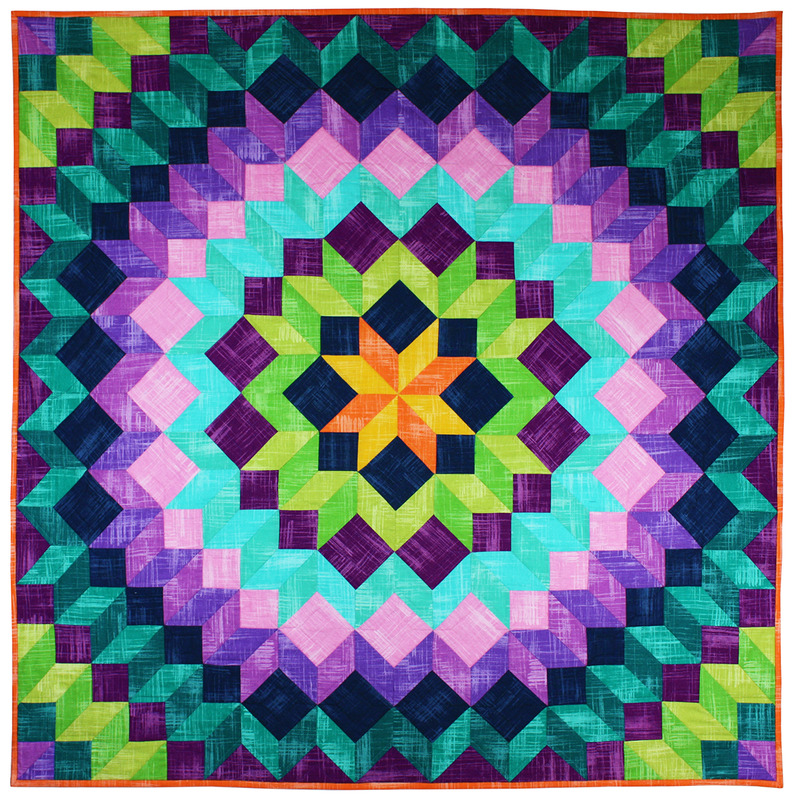 You can even purchase a kit for "Prisms" at Gruber's Quilt Shop. 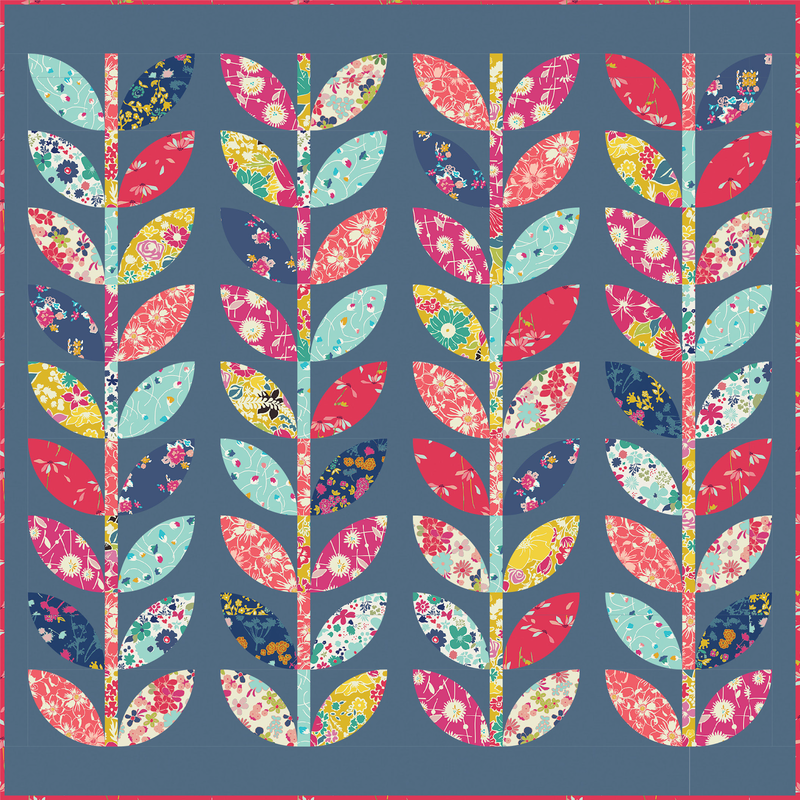 Select two large prints and enhance or glorify them with twenty-five patches on point. 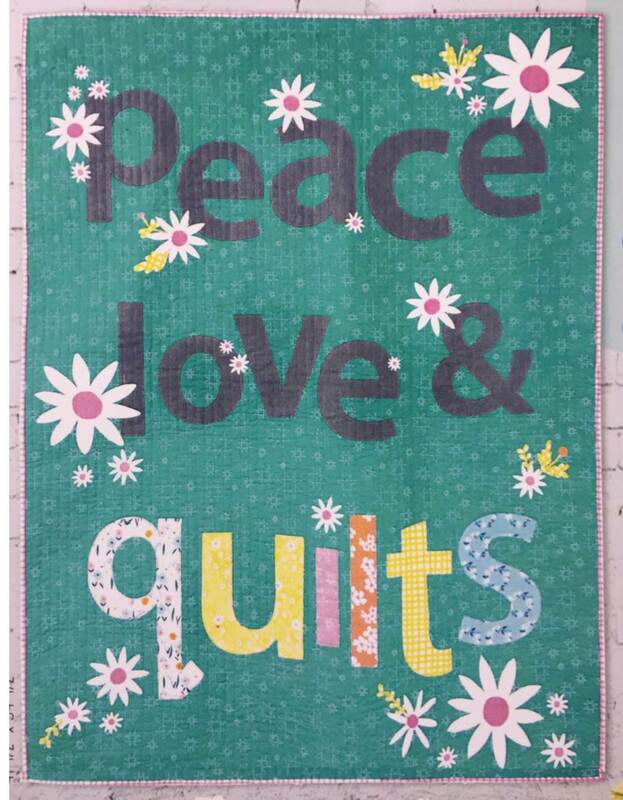 It couldn't be simpler, or more effective. 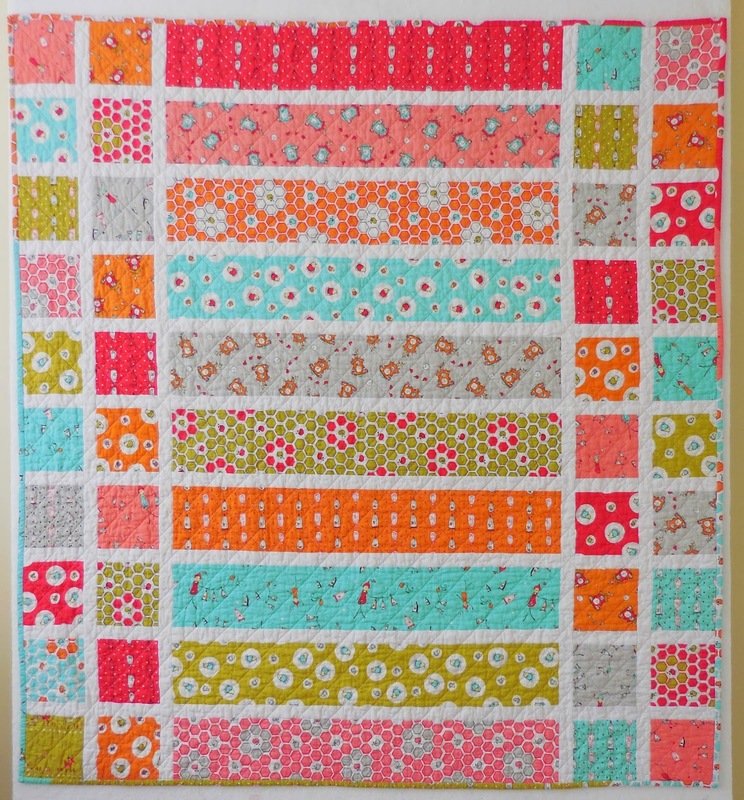 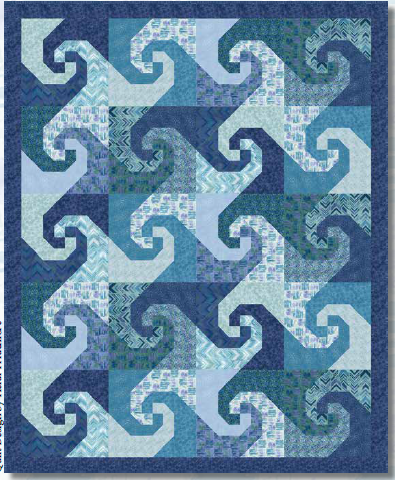 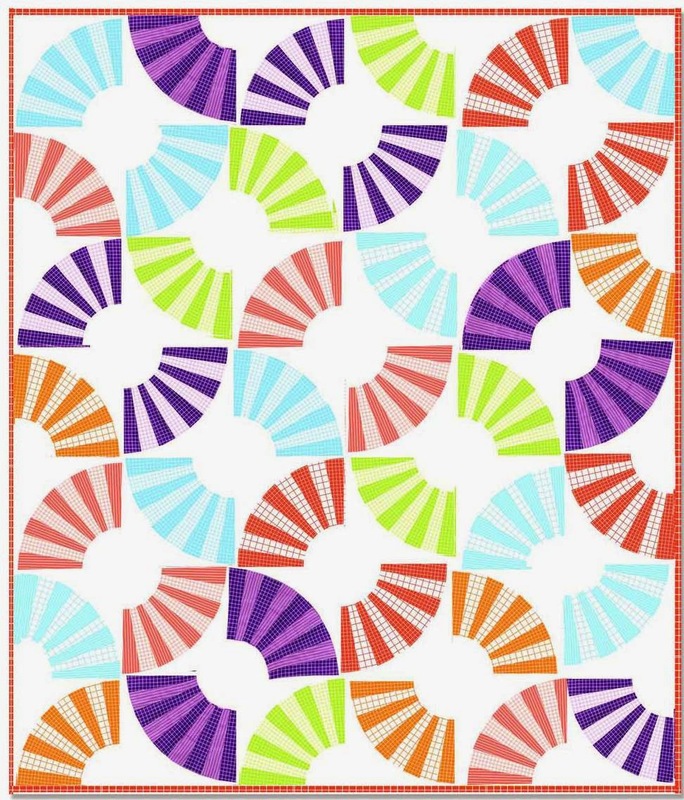 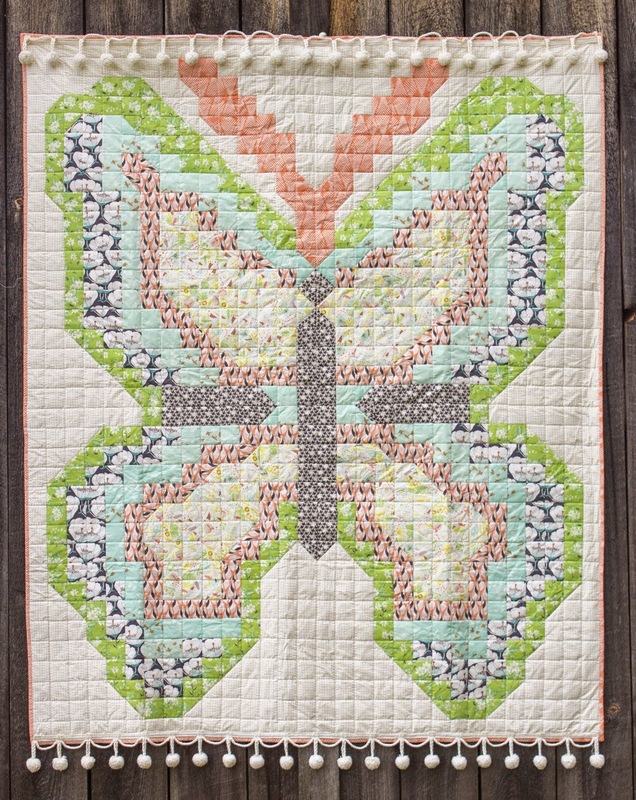 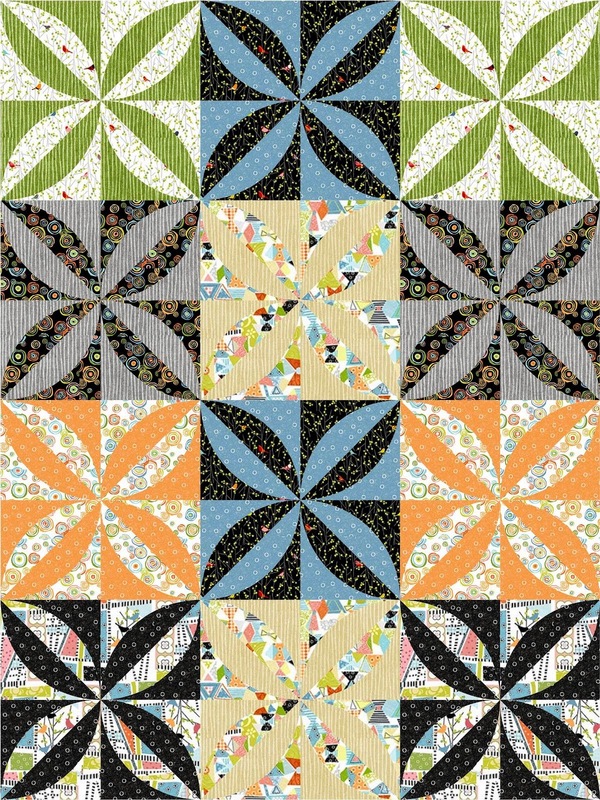 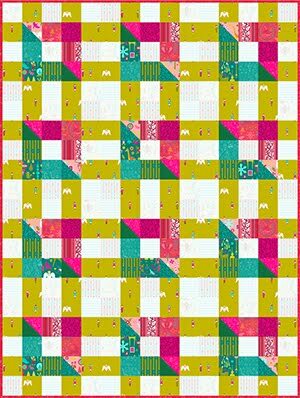 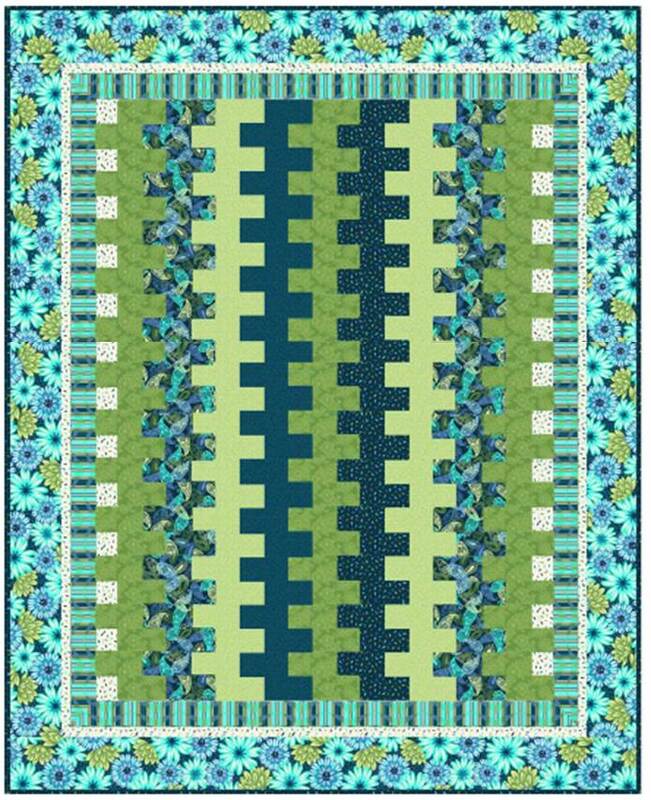 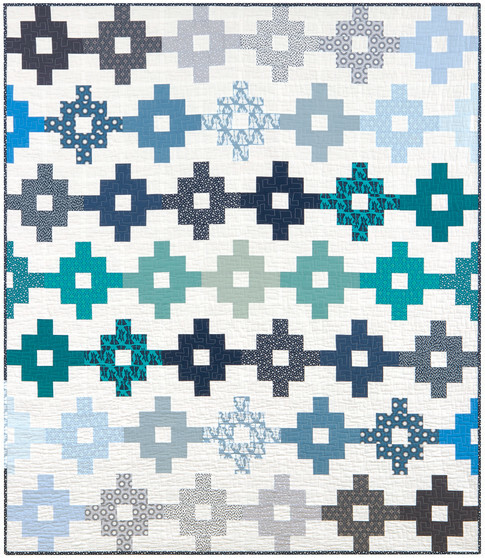 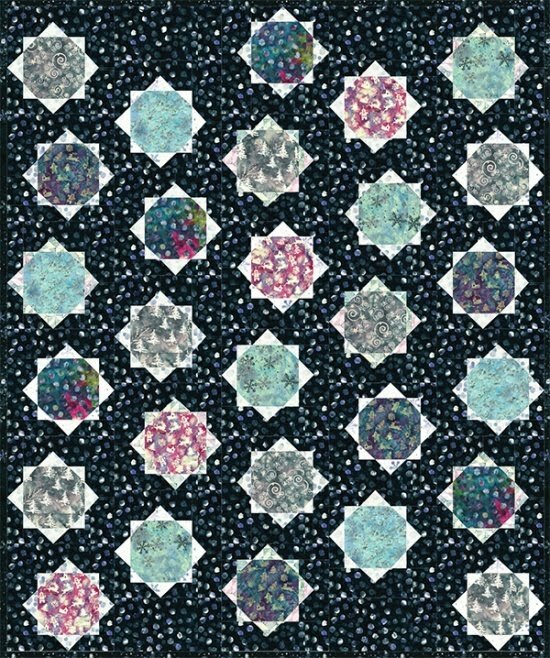 This brand-new pattern has all kinds of fabric possibilities; see the kit designed by Jinny Beyer using Jinny Beyer fabrics. 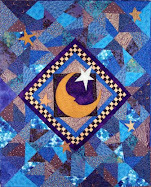 Image credits and links: Images are shown with the generous permission of Pamela Goecke Dinndorf. 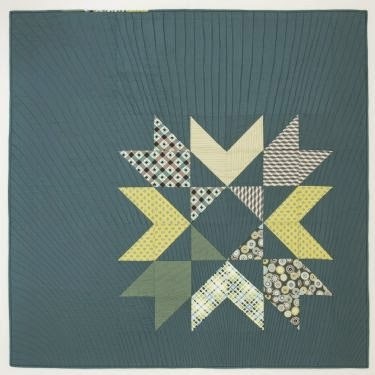 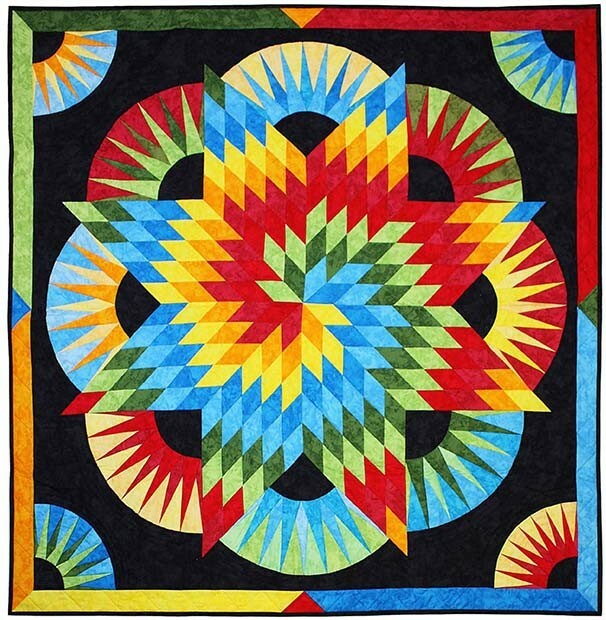 For an interesting interview, with great "in-person" photos of Aardvark Quilts' 2010 booth, see the article written by Kelly Jackson at I Have A Notion. 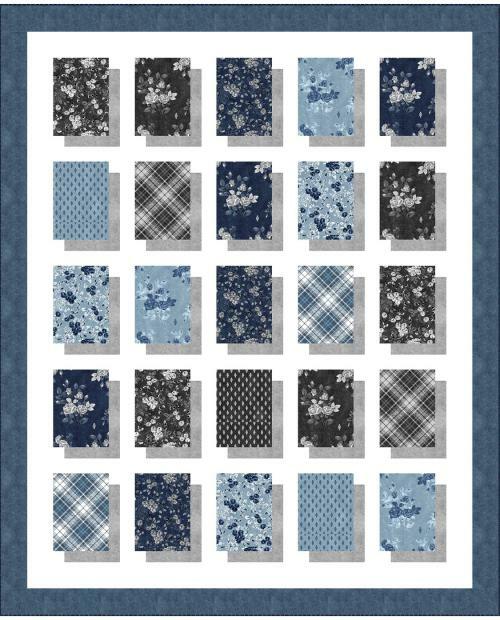 We also featured several Aardvark Quilts patterns in our article on stripes and plaids: see Waste Not, Want Not. They remind me a bit of the Kaffe Fassett quilts. 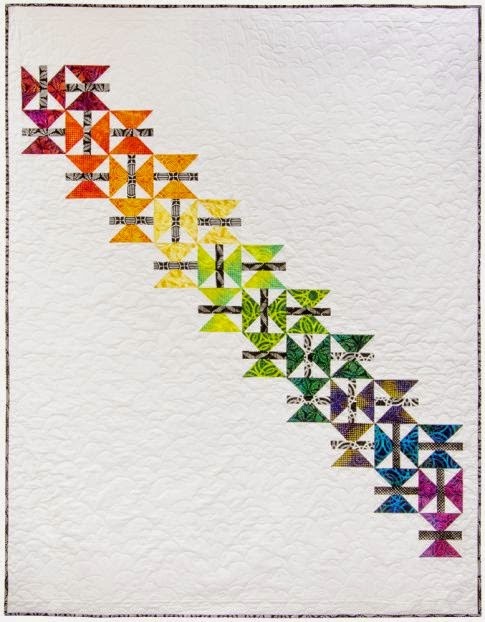 I agree with White Stone that the sorting, arranging etc is probably a little more difficult, but if you trust yourself a little you will finish with something equally as lovely. 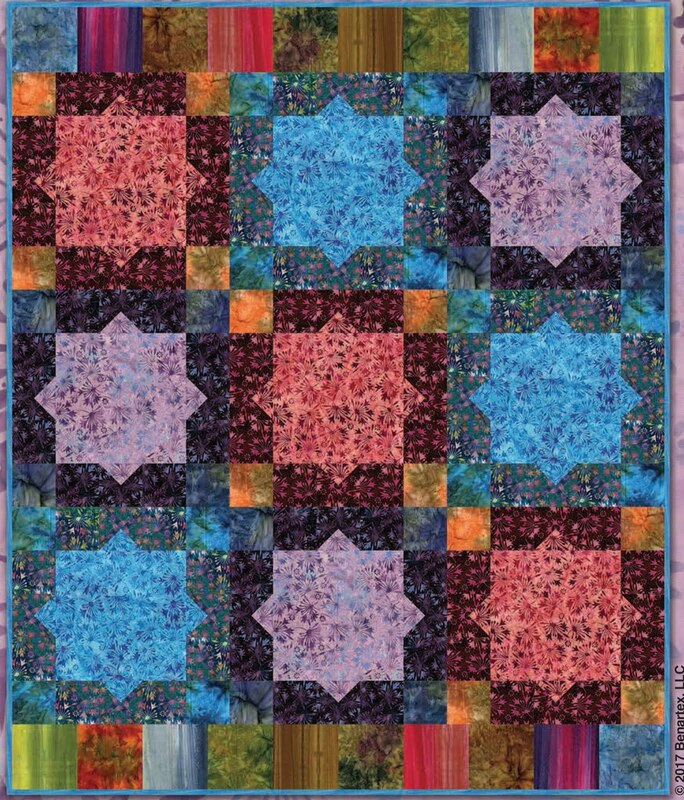 I would never purchase a kit with other people's pattern and fabric choices but these are very nice.